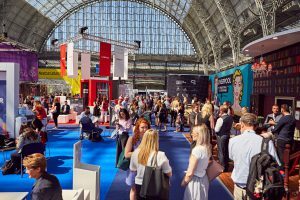 Ten of the meeting and event industry’s brightest talents have been named as the winners of the inaugural Tomorrow’s Talent initiative, launched by The Meetings Show in partnership with M&IT Magazine. Visitor registration for The Meetings Show is open now – visit http://www.themeetingsshow.com/register. This entry was posted in Exhibition Talk, Industry News. Bookmark the permalink. Follow any comments here with the RSS feed for this post.